Talk to the hiking experts for your next story. American Hiking Society is the national voice of hikers. 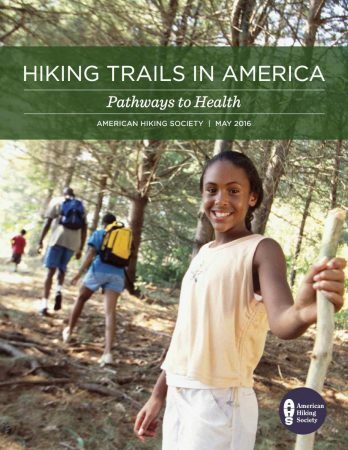 As hiking experts, American Hiking Society can provide insightful information and resources on all things hiking. American Hiking Society champions conservation issues, supports volunteer stewardship, and provides critical resources to help plan, fund, and develop trails. We also provide resources to the public about how and where to hike and are committed to increasing the participation and enjoyment of hiking by everyone. Please send general inquiries to Wesley Trimble, Program Outreach & Communications Manager at WTrimble@AmericanHiking.org or call 301.565.6704x703. For inquiries regarding Volunteer Vacations, please email Libby Wile, Senior Director of Programs at LWile@AmericanHiking.org or call 301.565.6704x704. For the most recent coverage, follow @Americanhiking on Twitter. Volunteer Vacations are a series of trail stewardship projects on America’s public lands. In a time of reduced budgets and limited resources, land managers are often in need of able-bodied volunteers to assist with their trail maintenance needs. American Hiking Society organizes week-long “working vacations”, which match volunteers to trail projects across the country. More than a program that rehabilitates trails, Volunteer Vacations fosters public land stewardship and provides volunteers the opportunity to give back to the trails they love, meet new people, and have a great time doing it! Why are Volunteer Vacations necessary? American Hiking Society’s Volunteer Vacations program connects people with nature, introduces many to the wonders of outdoor recreation, and provides land managers with much-needed able-bodied volunteers and resources. Volunteers return from their week of stewardship with a new found appreciation for nature and a desire to preserve it for future generations. Who volunteers for these projects? Our volunteers come from all walks of life and from across the country. Age ranges from 13 to 80. Volunteers under the age of 18 are welcome on certain trips if accompanied by a legal guardian. Each trip lists the minimum age allowed on the project details page. While each trip usually has a couple or two, or friends traveling together, many participants travel alone. What are the trip logistics? Each crew consists of 6-15 volunteers accompanied by a crew leader. Trips involve backpacking or day hiking and accommodations vary from primitive campsites to bunkhouses or cabins. Tools and supervision are provided by the host agency or organization. What if I have never done trail maintenance? We welcome you! While we do ask that volunteers are in good physical condition, prior trail maintenance experience is not necessary on any of our trips. Volunteer Vacations are made possible by 2017 corporate sponsors REI, The Explore Fund, Vasque, and Backpacker’s Pantry. Also by Federal Partners US Forest Service, US Fish and Wildlife Service, National Park Service, and Bureau of Land Management. If you are interested in supporting our Volunteer Vacations program through sponsorship, please contact Kim Lyons, Director of Development, at KLyons@AmericanHiking.org. What is National Trails Day®? National Trails Day® is the only nationally coordinated event designed to unite all muscle-powered trail activities with the goal of connecting more people to trails. Local clubs and organizations host special events in all 50 states to help get people out on the trail. When is National Trails Day®? The first Saturday of June is always National Trails Day®. In 2019 it will be June 1. Event hosts can choose to observe National Trails Day® on a different date to better suit their program needs, but the majority of events take place the first weekend of June. What types of activities are available at events? The short answer is any muscle-powered trail activity can be registered. Here's a list of just a few possibilities: hiking, bike riding, trail maintenance, birding, wildlife photography, geocaching, paddle trips, trail running, trail dedications, health-focused programs, and children’s activities. Whatever you like to do outdoors, there is bound to be an event to fit your interests. If you don’t find the type of event you want, then plan it yourself — and be sure to register it. Anyone can host a National Trails Day® event. If you need help with programming ideas or would like more information, take a look at the resources on the event host page. There you will find all the information you need to host a successful event. Once you’ve planned the event, remember to register it! Who can attend an event? American Hiking Society and the trails community invite Americans of all ages and abilities to find their own adventure. Most events are open to the general public. If an event host requires a minimum age or some other restriction, those details should be stated in the event description. Is there a cost to host or attend an event? Registering an event is completely FREE! Most events are FREE to attend unless noted in the event details. Event hosts should state any registration fees or park entrance fees if applicable. Who Sponsors/Supports National Trails Day®? 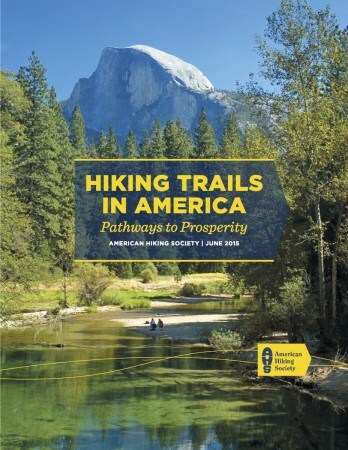 American Hiking’s National Trails Day® is made possible by the generous support of Corporate Sponsors – Merrell, Eddie Bauer, Columbia, REI, Popular Mechanics, Save The Redwoods League, Nature Valley, Osprey Packs, Wiivv and Federal Partners – National Park Service, U.S. Fish and Wildlife Service, Bureau of Land Management, Federal Highway Administration, and U.S. Forest Service.